The four-legged Boston Dynamics robot that became an internet star when it featured in a series of viral videos is set to go on sale next year. US-based robotics company Boston Dynamics announced the semi-autonomous SpotMini is scheduled to go into production in mid-2019. The robot caused a stir online earlier this year when videos showed it navigating offices, climbing stairs, opening doors and even fighting off a human armed with a hockey stick. 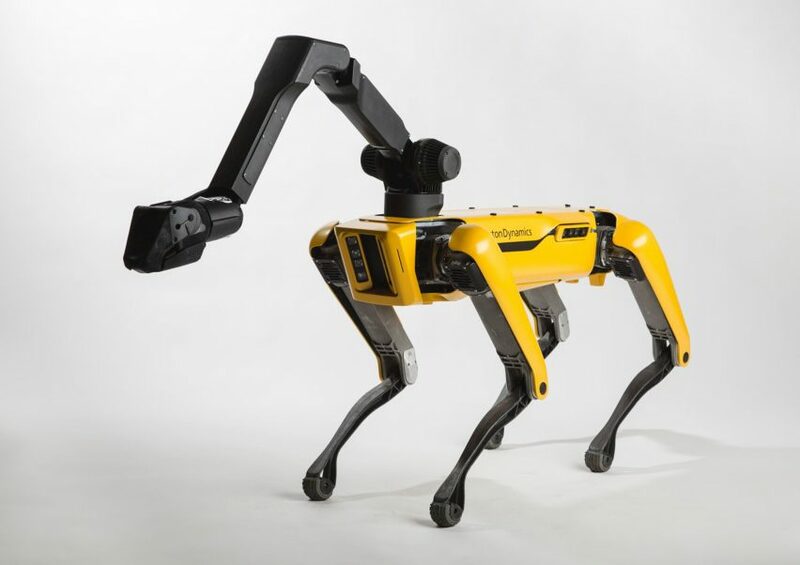 Boston Dynamics founder Marc Raibert announced the robot’s production date at TechCrunch Sessions: Robotics conference in California last week, saying the SpotMini would be suited to office environments. 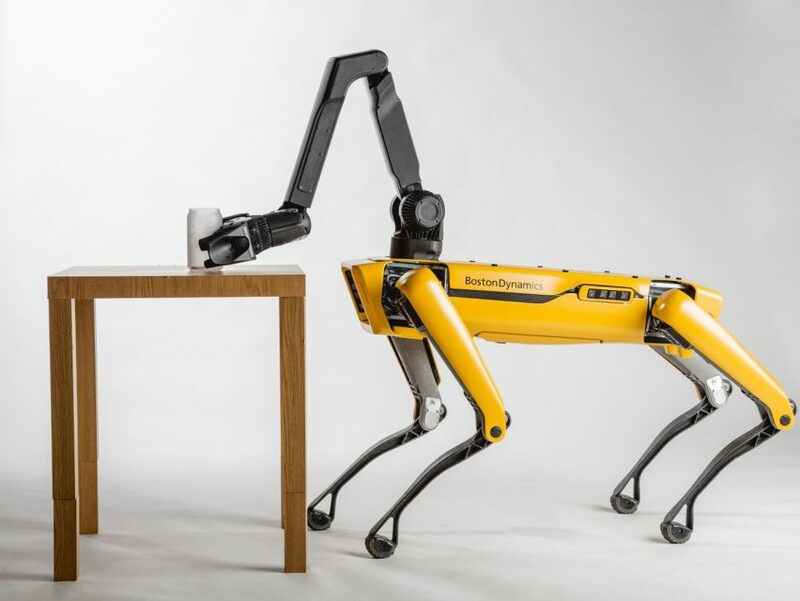 “The SpotMini robot, the small quadruped, is one that was motivated by thinking about something that could go in an office, with a more accessible place for business applications, or in a home eventually,” said Raibert. Boston Dynamics is currently developing a number of apps for the SpotMini that would enable it to be used for surveillance or construction. The company will also invite third parties to develop their own applications. The 30-kilogram robot, a smaller version of the earlier Spot model, can pick up and carry a payload of up to 14 kilograms in its optional arm attachment. SpotMini can be operated with a controller or can move autonomously through environments it has mapped with its suite of cameras and sensors. 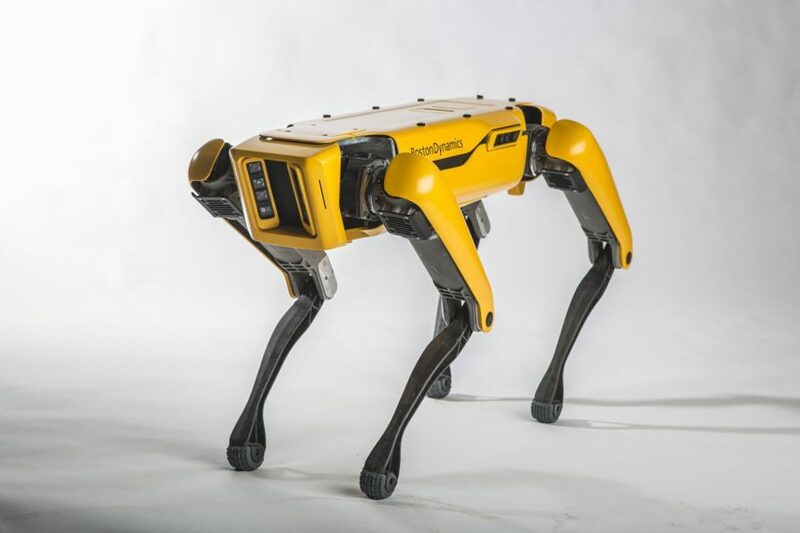 The SpotMini’s characteristic quadrupedal march has repeatedly caused a sensation on Twitter, where it has been compared to the killer robot dog from the dystopian TV show Black Mirror. The programme’s creator Charlie Brooker has said he was inspired by Boston Dynamics’ inventions. Raibert said Boston Dynamics, which is known for its cutting-edge research and development, had been considering branching into commercial robots since its acquisition by Google X in 2013. The company is now wholly owned by Japanese conglomerate the SoftBank Group. “We’re trying to maintain our R&D focus while we develop a very applied product focus,” he said. Security robots are already operational in some workplaces, although their presence isn’t always welcomed by the human communities around them. Last year, a Knightscope K5 security robot tasked with warding off homeless people from a San Francisco building was knocked over and smeared with excrement by an angry member of the public. In construction the use of robotics has been less controversial, with a robot-made modular house currently under construction by researchers at ETH Zurich university. Be the first to comment on "Boston Dynamics to start selling SpotMini robot as soon as 2019"
Udder Panic is a global, multi-platform media and entertainment company. Powered by its own proprietary technology, Udder Panic is the go-to source for tech, digital culture and entertainment content for its dedicated and influential audience around the globe.